OLD PARKED CARS. 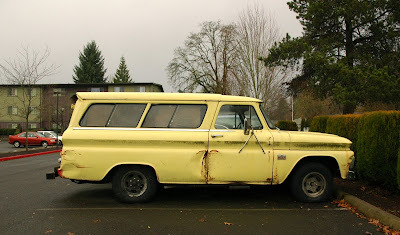 : 1965 Chevrolet Suburban. muy bueno el detalle del candado en la trompa! 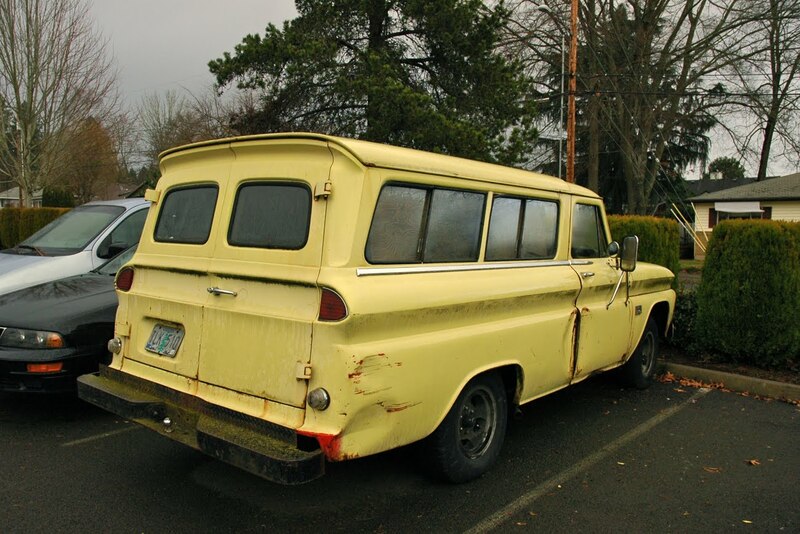 I really admire the forward-leaning rear windows. It gives the vehicle a speedy look! Something not even the moss and rust can counteract. Forward, ever forward. That was a great design generation of 'burban though. Slotmags and lotsa moss and rust. Sweet combo. Owned by Mr. Bean? 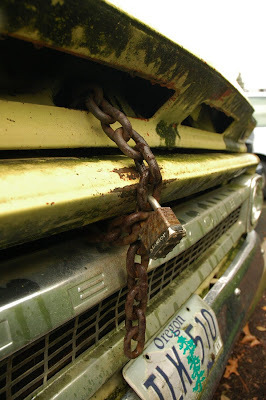 he padlocks his cars up too. 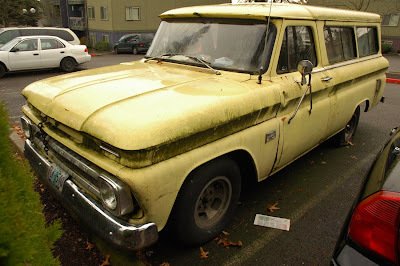 More likely it gets brought to town once every 6 weeks to transport the 'crop' and pick up some hydroponic fertilizer.